SkyWest Airlines is expanding its flying for Alaska Airlines by adding three new destinations from the major carrier’s two hubs in the Northwestern U.S. from July 1. 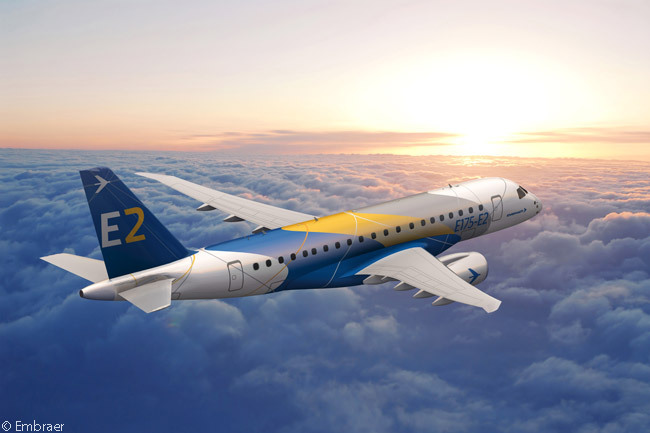 SkyWest Airlines’ parent company, SkyWest, Inc., has firmed an order for seven Embraer 175 regional jets so that subsidiary can operate the new serv ices for Alaska Airlines under a new capacity purchase agreement (CPA). 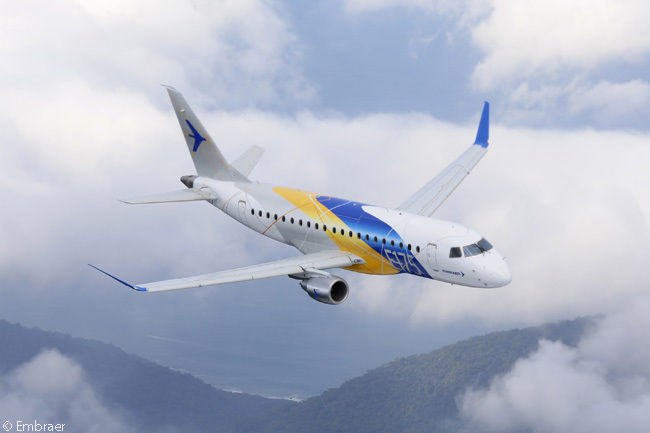 The seven aircraft are from a conditional order for 60 Embraer 175s that SkyWest, Inc. added to a firm order for 40 of the type and thus increase the regional-airline holding company’s current firm order for the type to 47 aircraft. In Alaska Airlines service, each of SkyWest Airlines’ 76-seat Embraer 175s will feature 12 seats in first class and 64 in coach. Onboard amenities will include Wi-Fi Internet access, streaming inflight entertainment and 110-volt power in every first class seat. Food and beverage will include hot meals and picnic packs for purchase, in addition to Northwest microbrews and wine. One-way introductory fares on the new routes are available for $119. Tickets must be purchased by December 1 and travel completed between July 8 and September 30, 2015. To book, and for complete fare rules, visit www.alaskaair.com or call 1-800-ALASKAAIR (800-252-7522 or Hearing & Speech Impaired (TTY): Dial 711 for Relay Services). Members of Alaska Airlines’ Mileage Plan loyalty program flying on SkyWest-operated flights will continue to earn Mileage Plan credit. 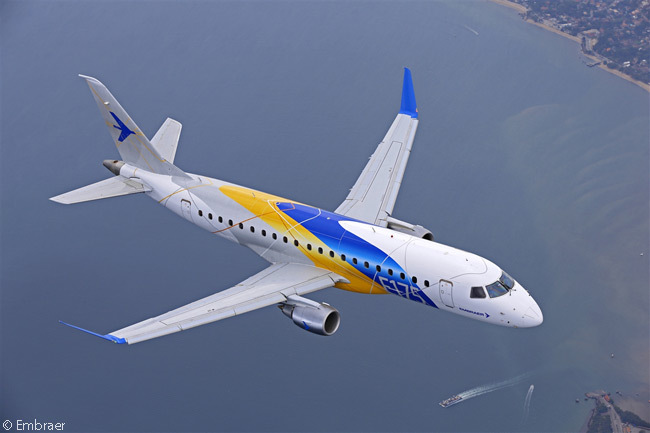 For SkyWest’s new CPA with Alaska Airlines, its first three new Embraer 175s will be delivered in the summer of 2015, with the remaining four due for delivery in the first quarter of 2016. It appears likely that in mid-2015 Alaska Airlines either will announce additional new routes to be operated by these aircraft upon their delivery in early 2016, or that some of the routes SkyWest Airlines now operates for Alaska Airlines with 66-seat Bombardier CRJ700 regional jets will switch to the larger, 76-seat Embraer 175 instead. “The E175 is new for the Alaska brand and fills a specific need to serve ‘long, thin routes’ – destinations that are too distant for our regional aircraft, but currently don’t have enough customer demand to fill a mainline jet,” says Andrew Harrison, senior vice president of planning and revenue management for Alaska Airlines. Alaska Airlines’ new SkyWest Airlines-operated Seattle-Milwaukee route will see its flight depart Seattle-Tacoma International Airport (IATA code SEA) at 9:35 a.m. daily from July 1 and land at Milwaukee’s General Mitchell International Airport (MKE) at 3:10 p.m. local time. In the other direction, the return flight will leave MKE at 3:50 p.m. daily from July 1 and touch down at SEA at 5:55 p.m. local time. On the Seattle-Oklahoma City route, the SkyWest-operated Alaska Airlines flight will push back from the gate at SEA at 10:30 a.m. daily from July 1 and reach Oklahoma City’s Will Rogers World Airport (OKC) at 4:00 p.m. local time. In the other direction, the return flight will vacate the gate at OKC at 4:40 p.m. daily from July 1 and land at SEA at 6:30 p.m. local time. On Alaska Airlines’ new Portland-St. Louis route, the SkyWest Embraer 175 flight will depart Portland International Airport (PDX) at 10:15 a.m. daily from July 1 and get to Lambert–St. Louis International Airport (STL) at 3:55 p.m. local time. In the other direction, the return flight will leave STL at 4:35 p.m. and arrive at PDX at 6:45 p.m. local time. SkyWest Airlines currently operates 40 flights a day to 14 cities for Alaska Airlines; by August 2016, that will increase to 52 flights a day to 17 cities, according to Alaska Airlines. In addition to its 47 firm and 53 conditionally ordered Embraer 175s, SkyWest, Inc. also holds options on another 100 Embraer 175s. 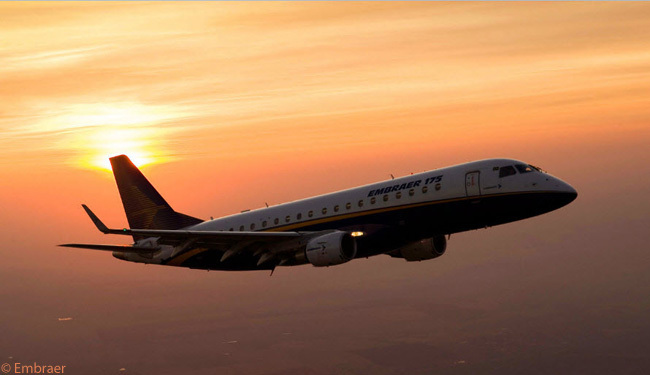 Separately, in another major deal SkyWest, Inc. ordered 100 second-generation Embraer 175-E2 jets and optioned another 100 for SkyWest Airlines and ExpressJet Airlines, its two regional-airline subsidiaries.